What’s in my bag? A photographers kit list! When people are considering booking me as their portrait photographer, or whilst we’re chatting during their family and child session, one of the most common questions I get asked is “what equipment do you pack in your bag?”. It’s actually much harder to answer this than you may think. The short answer is ‘I pack what I need’ and that depends on the type of session i’m photographing, where the session is taking place, the weather, the time of day and so on. However, there’s a few items that I just couldn’t be without, so for the purpose of this blog post these are the items that I use all day everyday and which never leave my bag! Main camera body – For family sessions this is usually my trusty Nikon D800. I just love working with this camera and whilst there may be newer, shinier models on offer they don’t offer anything in real terms that would improve the final image quality. Backup camera body – This can be one of several cameras and would generally only be used if something were to go wrong with my main camera. For portrait sessions, I typically prefer to switch lenses as required rather than shoot using more than one body at a time. 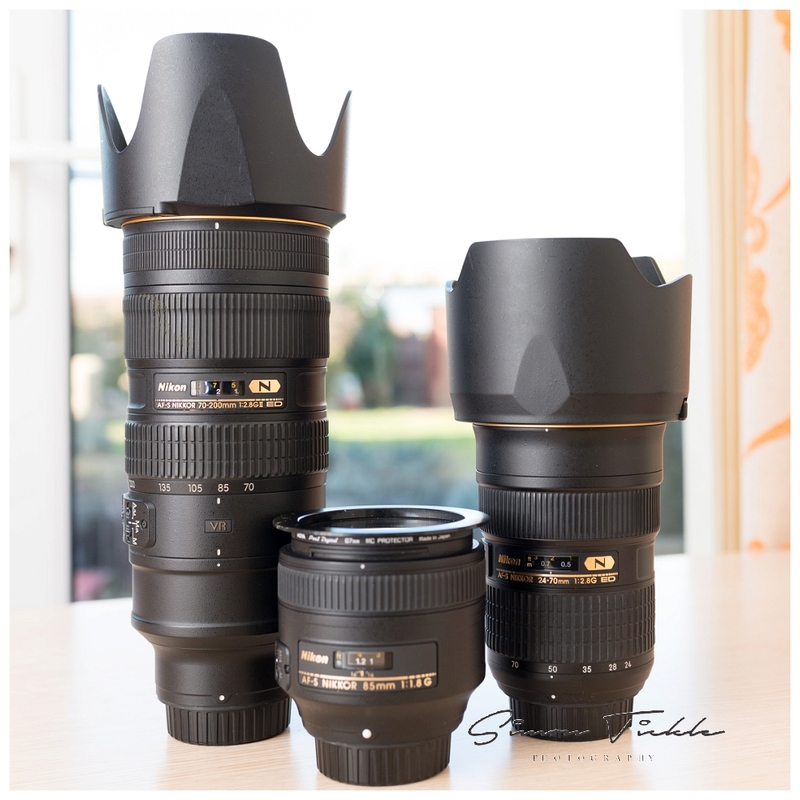 Lenses – For family and child portrait shoots there’s three lenses that I wouldn’t be without. The Nikon 24-70 f2.8. This lens renders great colours and sharpness at all times of day, and in all lighting situations. It’s incredibly versatile and is great for working in small spaces or clients homes. The Nikon 70-200 f2.8. This is my real workhorse. As a predominantly outdoor lifestyle photographer, I like to create some distance between myself and the subject so you can feel more relaxed and be yourself. The 70-200 lets me do this with incredible quality, beautiful depth of field and and pin sharp focussing. If I could only own one lens for portraiture, it would be this. Finally, I carry an Nikon 85mm f1.8 prime lens. This is great for being inconspicuous, letting loads of light into the camera as the sun starts to fade, and producing beautiful, creamy skin tones. Flashes – Nikons SB-910. I generally avoid using flash for family sessions and instead prefer to work with natural light where possible. However, you may spot me switch to flash if i’m trying to achieve a particular ‘look’, or the available light is particularly challenging. Light meter – If i’m totally honest, this probably isn’t 100% necessary. Most cameras have incredibly accurate meters built in. However, having worked with vintage film cameras for so long, and as I prefer to shoot in full manual mode for consistency, I wouldn’t be without my Sekonic meter. Batteries and Memory Cards – Lots of them! Each raw image from my Nikon D800 can be 40-50mb in size, so it’s easy to quickly fill a memory card. Plus, each camera saves images to two memory cards at the same time ( as a backup incase one fails). Other bits – I always have notes, paperwork, bin bags, sweets, bottled water, plasters and other supplies in my bag. You just never know what you’re going to need! So there you have it! It’s important to remember that the kit is only a tiny percentage of what makes an image. What’s much more important is how you use the equipment available to realise your photographic vision. If you would like to book me as your portrait photographer in Nottingham or further afield, why not get in touch. I’d love to discuss the options with you.